From new Nissan models to used cars in Conroe. From routine maintenance to repairs. Keating Nissan, serving Houston, Spring, Sugar Land and The Woodlands, has you covered. And, if you want to repair your vehicle yourself, we can get you any of the manufacturer-certified Nissan auto parts in Conroe you might need along the way.The Keating Nissan auto repair and service team believes excellence is a continuous pursuit. As such we’re constantly training and retraining, and upgrading our maintenance and auto repair shops with the latest technologies available. Come once, and you’ll immediately see the difference. You don’t have to take just our word for it, ask around. The word on our high level of customer satisfaction has spread fast. 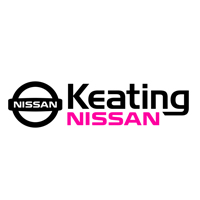 You can also visit Keating Nissan in person and see for yourself our stellar lineup of new Nissan models, including the Altima, Rogue, Murano, Armada and Titan; our impressive used-car inventory; and our top-notch facilities for auto repair in Conroe. Plus, you’ll have the opportunity to meet our knowledgeable and friendly car loan and auto parts staff. You can find us easily at 333 Interstate 45 South, Conroe, TX.